Did Trump Give OK To Putin For Russia To Interview Former US Ambassador And Others? Somebody like the republican US President Donald Trump needs to explain to the Russian President Vladimir Putin that the USA is not Russia and that President Trump does not represent the thinking of the vast majority of Americans. President Trump cannot control the press, even though, he would love to; he can’t kill off or eliminate his critics which is a good thing as there wouldn’t be many Americans left; and he can’t tell the judicial and the law enforcement agents what to do, although he has been trying his very best. On the 16th of July 2018, President Trump and Russia’s leader Vladimir Putin participated in a bi-lateral meeting which lasted for over 2 hours and 10 minutes with only the interpreters present. Later, at a joint press conference in Helsinki, Finland, the world was stunned as the watched President Trump on TV, equivocate in backing the DOJ’s/ FBI’s 7/13/18 US indictments against 12 Russian GRU agents for attacking the US elections infrastructure in 2016. The negative consequences of President Trump having insisted that no credible expert/ witness and or note-taker be present at the Helsinki Trump-Putin summit as the two leaders conducted their business for over two hours is becoming all too apparent. The Russian foreign minister has already been talking about acting on agreements they forged which US officials who should be in the know, have been caught totally flat-footed. This is in addition, to President Putin having a big win just by President Trump having welcomed him onto the world’s stage. 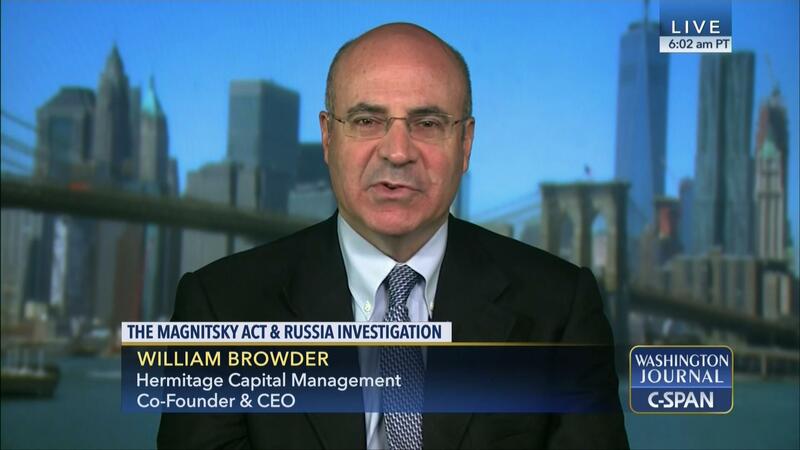 For example, the Russians are demanding access to interview the former US Ambassador to Russia, Michael McFaul and the British financier / former US citizen, Bill Browder who spearheaded the passage of the 2012 Magnitsky Act, as well as others. At the joint press conference on the 16th of July 2018 between the two heads of state, President Trump voiced his thoughts, that this was a great idea. On the 18th of July 2018, at a White House press conference, the president’s spokesperson Sarah Huckubee Sanders stated that the president was working on this with his advisers. The president’s experts will nix this idea, faster than a speeding bullet. It is DOA. Fortunately, there was a US translator present at that closed door meeting who is a US State Department employee. The Congressional democrats are calling for her to testify at one of their committee hearings but republicans are pushing back on this demand for obvious reasons. I am 100% certain that Russian intelligence agents have a transcript of everything said by both presidents based on a recording which they can use as leverage against President Trump. We need the republicans in the US Congress to step up to represent primarily the US national security interests vs. party loyalty. As per a 7/18/18 Politico report by Eleanor Mueller, President Donald Trump will consider allowing Russian investigators to question U.S.-born investor Bill Browder, former U.S. ambassador to Russia Michael McFaul and others after President Vladimir Putin floated the idea, White House press secretary Sarah Huckabee Sanders said Wednesday. Link to entire article: White House: Trump will consider letting Russia question investor . Next Can You Believe Most Republicans Approved Of President’s Performance At 7/16/18 Helsinki Summit? As you said Gronda, there’s no way this will ever happen, but just the fact that Trump finds this request interesting and is discussing it behind the scenes, is deeply disturbing. We need to know what else was said during that one on one meeting. At this point, I think Trump would do anything to get out from under this investigation. I’m quite sure this was also discussed extensively in private with Putin. I would not be surprised if Putin the geopolitical chess master would find a way to bail out his protégé! If I was President Putin, I’d stay out of this one. But unfortunately or fortunately depending on one’s point of view, he won’t listen to the likes of me. But I am certain that he has competent advisers suggesting the same thing. This will not end well. The thought that the president even believed that this was possible is frightening. This means that he is absolutely clueless about how the US government works. This lack of knowledge could very well be his downfall. The IC community personnel are now on high alert as to anything this president does regarding Russia. The Director of National Intelligence Dan Coats and the FBI Director have both proven that they will speak to power. I want to believe that the IC community knows more than the president would like but I don’t know.